Halloween inspired mix of Scary sounds and modern Trap beats altogether becomes Spooky Trap! 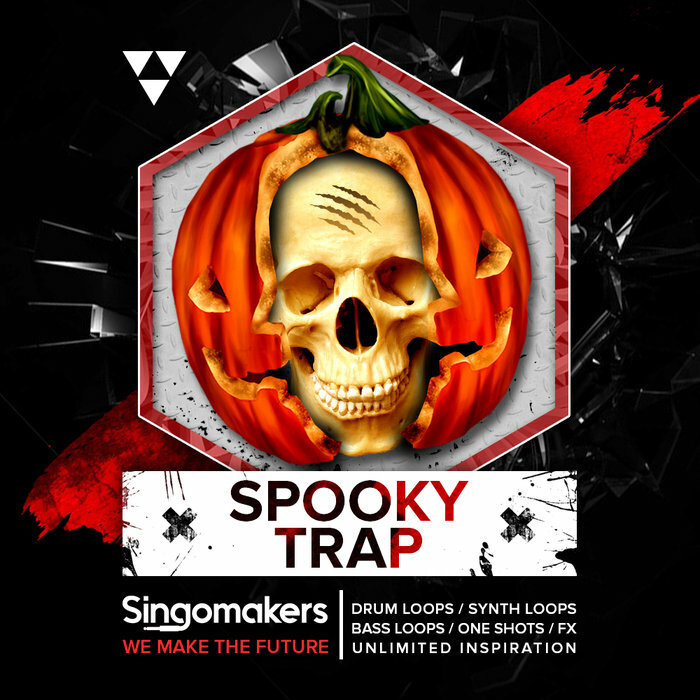 Inspired by the scariest side of tracks from Bombox Cartel, QUIX, Goja, LAXX, YOOKiE and some more. In detail expect to find 1.12 Gb of wav 24 bit samples at 145 - 160 BPM including 120 Spooky Drum Loops (incl Full Drum Loops, No Kick Drum Loops, Percussion Loops, Drum Fills), 140 One Shots (20 Claps & Snares, 20 Crashes, 20 Hats, 20 Kicks, 40 Percussions, 20 Rides), 50 Synth Loops, 80 FX, 90 Midi Files, 230 Rex2 Files, 11 Sampler Patches (incl, 6 Drum Kits, 5 Fx Kits), 40 Sub & Bass Loops, 20 Vocal Loops + Promo & Discount Folder. Spooky Trap is if these movies would be music: Saw, It, Mother!, Life, Get Out, Split, Drag Me to Hell, Cloverfield, The Conjuring, The Mist, Unfriended, Oculus. Yes, spooky and scary music! Check this Thrilling demo and Trick or treat now!